U.S. Senate grills Trump’s Son-in-law over Russian links – Royal Times of Nigeria. 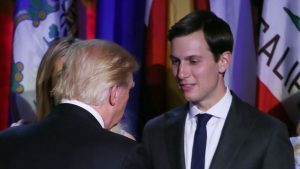 Jared Kushner, son-in-law to President Donald Trump is to face two days of grilling by a panel of the U.S. senate over his links with Russia. 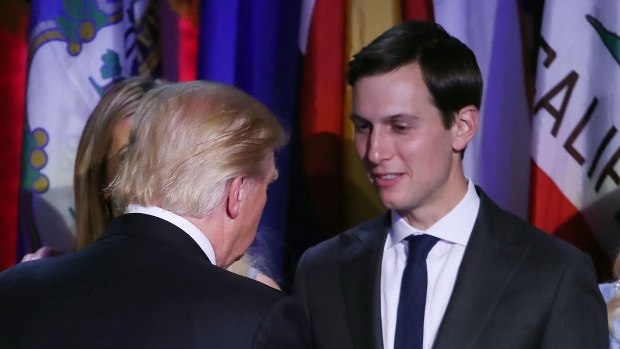 The panel which is charged with the responsibility to determine if Trump’s campaign team enlisted Russian support to win the 2016 Presidential Election will question Kushner in a closed-door. Trump has been dogged by allegations that his campaign aides worked with Russia, which U.S. intelligence agencies have accused of interfering in last year’s election. The issue has dominated Washington and divided his White House, distracting from his efforts to overhaul healthcare, restructure the tax code and rebuild the nation’s crumbling infrastructure. Trump’s son Donald Trump Jr. released emails earlier this month that showed he appeared to welcome the prospect of damaging information from the Russian government about Trump’s Democratic rival, Hillary Clinton. Members of both committees say they are eager to hear about the June 2016 meeting involving Russian lawyer Natalia Veselnitskaya. Trump’s son, Kushner and former Trump campaign manager Paul Manafort all participated in the meeting.